5.1.1 Do not expose to, dispose of the battery in fire. 5.1.2 Do not put the battery in a charger or equipment with wrong terminals connected. 5.1.3 Avoid shorting the battery. 5.1.4 Avoid excessive physical shock or vibration. 5.1.5 Do not disassemble or deform the battery. 5.1.6 Do not immerse in water. 5.1.7 Do not use the battery mixed with other different type or model batteries. 5.1.8 Keep out of the reach of children. 5.2.1 Battery must be charged in appropriate charger only. 5.2.2 Never use a modified or damaged charger. 5.2.3 Do not leave battery in charger over 24 hours. 5.2.4 Charging current: Can not surpass the biggest charging current which in this specification book stipulated. 5.2.5 Charging voltage: Does not have to surpass the highest amount which in this specification book stipulated to decide the voltage. 5.2.6 Charge temperature: The battery must carry on the charge in the ambient temperature scope which this specification book stipulated. 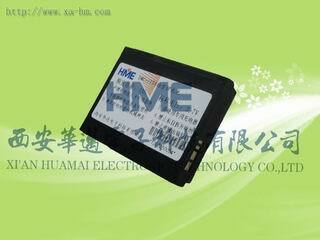 5.2.7 Uses constant current and constant voltage way charge. PLS connect the positive and negative terminals in right way, or the battery may be damaged. 5.2.8 The battery must be stored after charged, and should be charged and discharged once every 3 months.